The Istrian peninsula is situated at the north-eastern part of the Adriatic Sea, but it also poses as a bridge that connects the middle-European continental areas with the Mediterranean ones. The climate of Istria is therefore typically Mediterranean along the coastline, but in the inland it gradually changes towards the mild continental climate. The nearness of the Alps and the cold air streaming from the nearby mountains are influencing that change. Coastal parts of Istria are blessed with warm and long lasting summers, while winters are usually mild and pleasant. The temperature rarely drops below zero throughout the entire year. January is the coldest month, with the average temperature of 6°C and over 260 days a year the air in Istria is warmer than 10°C. The snow is a rare sight, occasionally gracing only the highest peaks of the mountains in the inland areas. The winter is short lasting, rainy and windy. As everywhere along the Croatian coastline, Istria is also refreshed by the characteristic local winds: bura, jugo and maestral. Bura blows from the north and brings fresh mountain air from the Alps, clearing the clouds. Jugo brings warm air from the south, all the way from Sahara desert and is usually a messenger of the coming rain. Maestral is a pleasant breeze blowing daily from the sea towards the coastline and bringing the most appreciated refreshment in hot summer days. Summer starts early, but extremely hot period with temperatures over 30°C usually lasts around 20 days, stretching through July and August. The sea becomes pleasantly warm for bathing before the beginning of the tourist season and usually stays that way long after the autumn has begun. 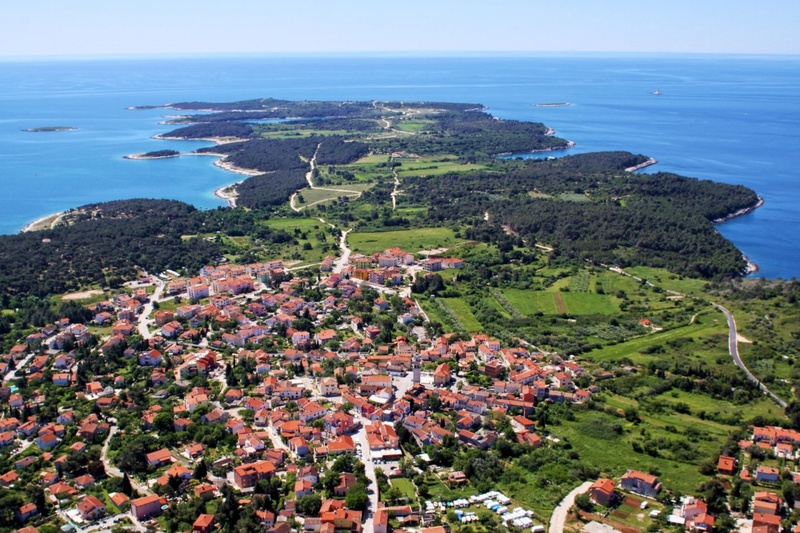 It is therefore ideal to visit Istria anywhere between April and October. However, the temperature of the sea is highest in August, with the average of 24°C, but it can get as warm as 26°C on a hot day. Istria is among the sunniest parts of Croatia, with over 2400 hours of sunlight per year. In the summer period you can enjoy in the average of 10 daily hours of sunlight. Those are the ideal conditions for full experience of all summer joys, but you should also keep in mind the potentially harmful effects of the sun's radiation and always protect yourself and your loved ones from the direct sunlight.